Have you been thinking about using CBD products for the many benefits? CBD is a powerful compound that can help alleviate a variety of health symptoms. I have been using CBD oil regularly over the past year for daily health and occasional pain management. And unlike many complicated pharmaceutical drugs, CBD products have little to no adverse side effects. When considering CBD products, one question many people have is whether CBD can get you high. Let me reassure you, CBD products have a very small amount of THC (generally less than .3%), which is the substance in marijuana that gets you high. This means you can use CBD oil without worrying about any psychoactive effects. Cannabidiol (CBD) and tetrahydrocannabinol (THC) both come from the cannabis plant. THC is the psychoactive part of marijuana that evokes a hazy, high sensation when used. CBD can be derived from marijuana or hemp and doesn’t get you high. So what’s the difference between the two compounds? THC and CBD create different reactions in the brain and nervous system. These reactions center around the CB1 and CB2 receptors. The receptors are what THC binds to when used, and what CBD doesn’t bind to. THC binds very well to CB receptors and causes stimulation that mimics the effects of the naturally produced neurotransmitter, anandamide. Anandamide creates pleasure, bliss, and pain relief. The similar chemical response from THC elicits the pleasurable high feeling, as well as the relaxation and short-term memory impairment. CBD is a CB receptor antagonist and binds poorly. This means that CBD doesn’t directly suppress or stimulate CB receptors, but instead CBD acts as a mellowing agent to THC. CBD is a counteractive force to the effects of THC and can decrease some of the negative side effects like memory impairment or anxiety. Basically, when CBD is used alongside THC it decreases some of the negative side effects of THC use. But when you use CBD on its own (or with very low THC content, like most CBD products have) then you don’t have to worry about getting high. Let’s take a look inside your body and see what CBD (and THC) are doing outside of the brain. 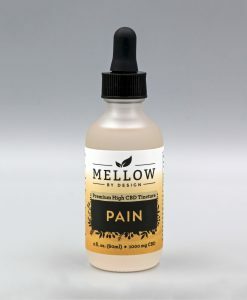 This is where CBD really shines and why countless users praise the beneficial effects CBD has on pain management and daily health. I’ll try to keep the scientific jargon to a minimum here. We just learned about CB receptors and how THC fits like a puzzle piece to evoke the sensations associated with getting high. Most of the CB1 receptors are located in your brain and nervous system. This is why the strong THC reaction evokes a mental high as well as decreased coordination or body heaviness. CB2 receptors are found mostly in immune cells throughout the body. The CB1 and CB2 receptors (along with many other cannabinoid receptors) make up the Endocannabinoid System (ECS). The ECS is found in all vertebrates and plays an important role in our nervous and immune systems. You can learn more about the ECS here. The ECS functions primarily as a regulatory system. Naturally produced endocannabinoids work within the system to support almost every major organ or system in your body: your heart, liver, skin, reproductive organs, and many more. The ECS also plays a large role in managing inflammation within the body. This is why CBD products are so beneficial to so many bodily imbalances and disorders. CBD is a cannabinoid that boosts your ECS system similarly to the naturally produced endocannabinoids in your body. If you’re interested in acquiring some more technical knowledge about the ECS, check out this article by The Scientist. When you use CBD products, they have less effect on the CB receptors in your brain and body than THC, which is why you don’t get high. This provokes the question: what is CBD doing in your body to have such favorable results? CBD works throughout the body like a light switch for a variety of systems or other receptors. It turns on systems or processes that are important to your bodily function and can suppress or interfere with processes that increase anxiety, high blood pressure, and other problems. While CBD doesn’t bind to receptors in the ECS like THC does, it does stimulate the production of your body’s endocannabinoids. 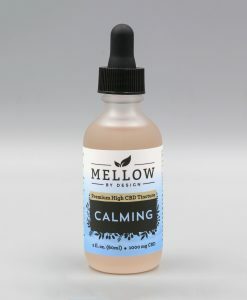 In your brain, CBD activates serotonin receptors, which may be responsible for the positive response users with anxiety see when taking CBD products. CBD also binds to receptors outside of the ECS that are responsible for pain perception and inflammation. CBD is active throughout your body — with a regulatory effect when used with THC and independently as a traveling jack-of-all-trades. But since CBD doesn’t bind to CB receptors the way THC does, you don’t have to worry about getting high. CBD from Hemp vs. Marijuana: What’s the Difference? 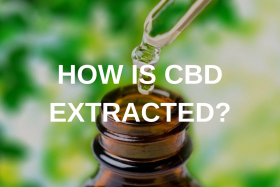 CBD can be extracted from hemp or marijuana plants. Both hemp and marijuana derive from the cannabis plant. Hemp plants are known as the “male” plant and have very low levels of naturally occurring THC. 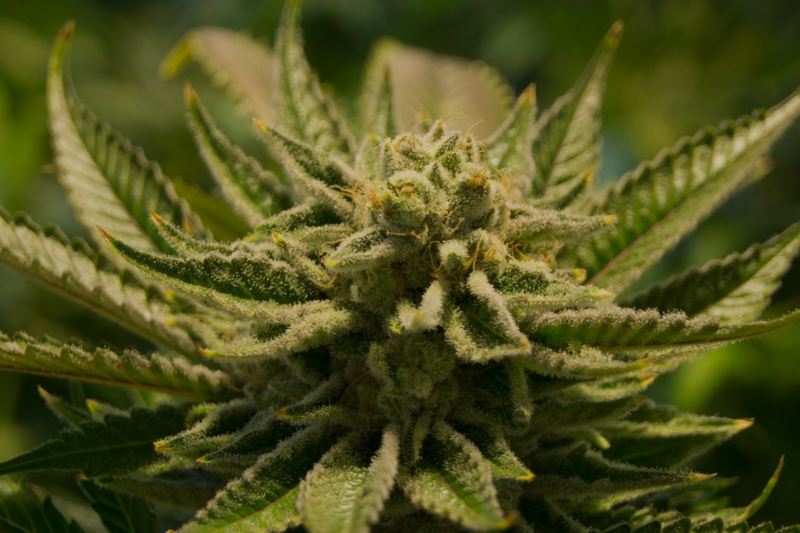 Marijuana is the “female” plant and is generally bred to have high levels of THC. When you’re looking to purchase CBD products, you may see products marketed as hemp-based CBD or marijuana-based CBD. 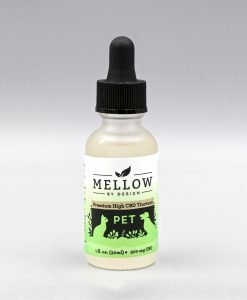 CBD isolates, regardless of their source, have very low levels of THC and very high levels of CBD. This means that no matter where your CBD is coming from, you’ll get all the benefits and none of the psychoactive effects. While CBD extracted from hemp or marijuana is basically equivalent in chemical composition, it’s very important to consider where your CBD products are coming from in regards to legality. 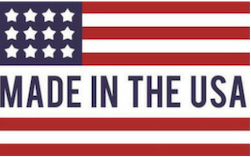 While CBD products from both hemp and marijuana will not get you high, marijuana products are very heavily regulated and are only legal for “recreational” use in states where recreational marijuana use is legal. 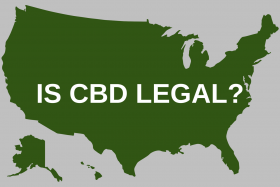 So if you’re living in a state where marijuana isn’t recreationally legal, or you want to be able to take your CBD products on a trip across state lines, you’ll want to get hemp-based CBD products. It’s the best way to ensure you won’t run into any problems with the law while you experience the power of CBD. CBD is an impressive compound from the cannabis family that has a wealth of benefits when used without any associated high. As we’ve learned, CBD is very different from THC, the psychoactive compound in cannabis that provokes a high. The body processes CBD differently which means you can function normally with a clear head after using CBD products. CBD interacts with a variety of systems and receptors in your body to help with inflammation, anxiety, pain management, and general bodily function. CBD is not the same as THC and therefore doesn’t get you high. CBD sourced from hemp is the best way to enjoy CBD products due to much stricter legalities around marijuana-sourced CBD. Enter your email below and get first access to new videos, special member only offers and member only contests. 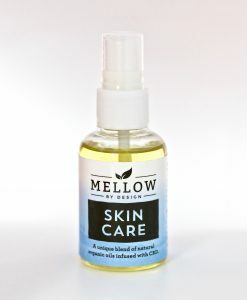 Copyright © 2019 Mellow By Design, LLC. All Rights Reserved.